The Royal trek is one of the short and easy treks that can be done by all age group. It is called the Royal trek as it was Prince of Wales who first trekked this region. 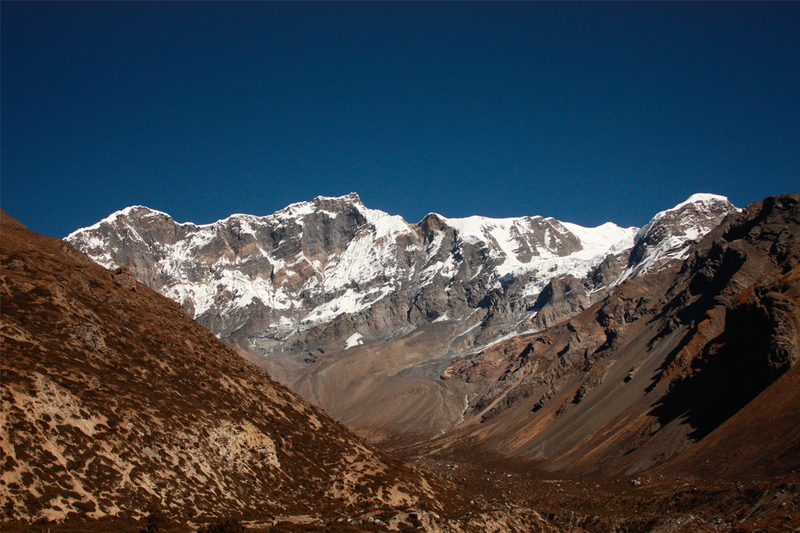 It is also called as the Annapurna Skyline trek. Pokhara valley serves as the starting and ending point of the Royal trek. The trekking trail follows a semi-circle route to the north-west direction of Pokhara along no higher than 1500m. 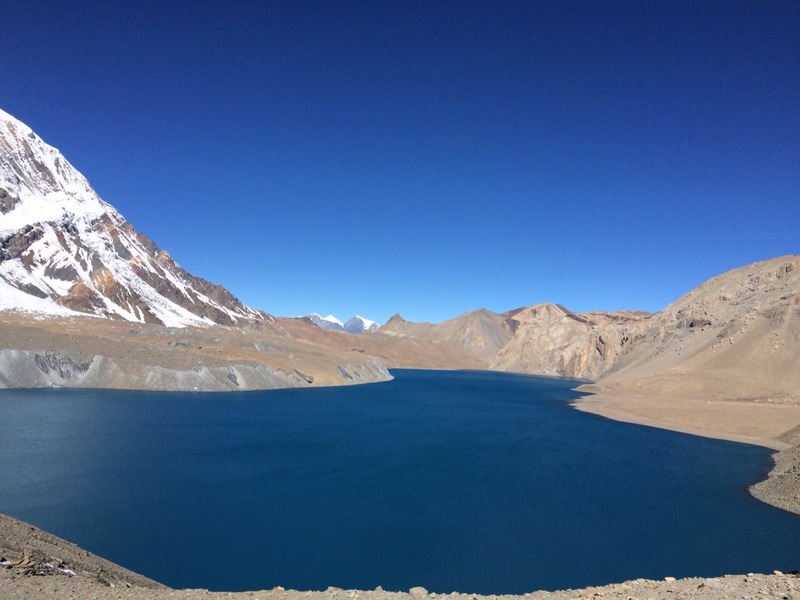 The Royal trek leads you on an enchanting journey wherein you can enjoy the panoramic views of the Annapurna range including the fishtail mountain Machapuchera , Lamjung, Dhaulagiri and Manaslu Himal, experience the rural life of Nepal and spend quiet moments beside the Begnas lake. This is a camping trek. Day 03: Drive from Kathmandu to Pokhara (914m.) takes about six hours. You follow the Marsyandi gently up through heavily terraced fields and small hill towns to the Seti River that takes you directly into scenic Pokhara. Blessed with pleasant weather, Pokhara is tourist’s paradise with full of natural as well as cultural heritage sites. Stay overnight at hotel in Pokhara. Day 04: Drive from Pokhara to Bijayapur Khola (Bijayapur Army Camp) takes about 40 minutes and trek from Bijaypur Khola to Kalikasthan (1370m.) takes about three hours. A broad trail starts through rice fields near the Army Camp, and then ascends through Rakhigaon to a Chautara, a resting place under a large pipal tree. En route, you can enjoy the views that are awesomely panoramic. Now the trails climb gently along a ridge top through the Brahmin and Chhetris villages towards Kalikasthan (1370m.). Stay overnight in camp. Day 05: Trek from Kalimantan (1370m.) to Lipeyani (990m.) takes about four and half hours. The trails follow along the forested ridge top through a rough motorable road passing through Thulokot and Majhthana (1220m.). Now, your trail begins to climb gently for some distance and through Naudanda. At the end, you could descend gently towards Lipeyani. From here, you will get bewildering views of Machhapuchhre (fishtail peak), the Annapurna ranges, Lamjung Himal and Manasalu. Stay overnight in camp. Day 06: Trek from Lipeyani to Chisopani (1260m.) takes approximately five hours. The trails follow along a motor able road for some distance and start to climb gently for a short time. Then you begin a level hike to Shaklung village (1250m. ), a Gurung village. Now, your trek follows along the broad motor able road passing through forests and you reach Ramkot at (1030m. ), then descend steeply to cross a road named as Sarka Bhanjyang (870m.). Your trail then climbs steeply on to a stone staircase through chestnut forests to the Mohariya Bhanjyang (1130m.). You still continue to climb gently towards Chisopani village, a home of the Gurung community. Stay overnight in camp. Day 07: Trek from Chisopani (1260m.) to Begnas Tal Bazaar (850m.) takes about four and half hours. From Chisopani Danda, you descend along the ridge for an hour or so and descend steeply along the stone steps, into a small valley and stream that feeds Rupa Taal (lake). Continue for a short distance through rice fields, and then make a final ascent to the ridge that separates Begnas Taal and Rupa Taal. This ridge is called Sundari Danda (720m.) means pretty Hills. From these hills, your trek continues to climb gently and descends into Begnas Taal Bazaar. From this point we can take a vehicle to get back to Pokhara. Stay overnight at hotel in Pokhara on BB basis. Day 08: Drive back from Pokhara to Kathmandu by bus takes six hours. While driving from Pokhara to Kathmandu, you head up to Damauli, Dumre, Mugling and Kurintar where Nepal’s first Cable car is operated to reach the famous Manakamana Temple. From Naubishe you climb up to Thankot, gateway to the capital city of Kathmandu and transfer to hotel on BB basis.